Why doesn't the Flu Vaccine work much of the time? Flu shots take time to be manufactured so they take the 6 (out of 22 viruses) which hit Asia, 6 months to a year ago and include them in the vaccine sold in the USA. Of course, none of those are necessarily the viruses which cause the flu epidemics in the USA. Additionally the preservative they use in the vaccine, has mercury in it. Some statistics suggest a higher incidence of dementia in those who regularly get the flu vaccine due to the ingredients.. more details below! To better protect against the flu, live healthy... 1. eat healthy and don't smoke, 2. get enough sleep and the usual good health habits which protect us from getting ill most of the time. People line up for flu vaccine but they often get the flu anyway. In 2009-2010, the scene was complicated. Reports from Mexico told us about a new type of swine flu which the media (and the CCD, sadly enough), told us was to be THE pandemic they have been predicting since 1976 (which has never yet happened). Although the media has often been caught in lies or exaggerations, people believe them like Gospel. Some say "better safe than sorry" except some people tended to get sick from the swine flu vaccine (which was separate from the regular flu vaccine) and maybe people were getting weary of the conflicting reports from the press because they kept changing their story. We know that providers ended up with more extra flu and swine flu vaccine than in previous years (10% typically is not used and ends up in the garbage but in 2010, it was an estimated 25% which went un-used despite aggressive media campaigns, selling both vaccines.). Reports from Mexico turned out to be very exaggerated and then, too, their sanitation and public health is not what it is in the USA and 1st world countries. Also viral information sharing (no pun intended!) on the internet, helped people to sort out the conflicting media reports. The CDC has a page on flu deaths. But if you read their page, most of the deaths attributed to flu are actually from pneumonia! Scare tactics by the press telling us every year, that the expected pandemic will be like the flu pandemic in 1917 aren't that effective. Again, information from the internet reminds that in 1917, we had no flush toilets, no antibiotics and no refrigerators so things were very different from now. Which viruses are to be included in the flu shots each year are decided long before the flu season which comes in Fall and Winter and that's because it takes a while to gear up for manufacturing the vaccine. So Scientists study which out of some 22 viruses have hit in Asia and make an educated guess. Occasionally they do include the virus which will actually hit but most often it's not included so people get the flu anyway. 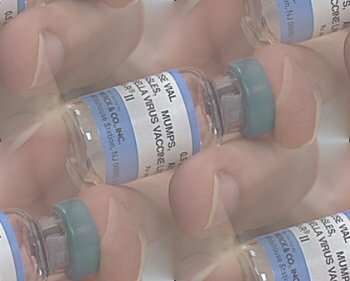 What might have hurt the flu vaccine business was the year we ended up short of vaccine and a lot of folks didn't get the vaccine but they didn't get the flu either. Additionally, there are other ingredients in flu vaccine like thimerosal. The CDC admits that this preservative contains mercury which is a deadly poison, even in small amounts, however, they stated "there is no evidence" that Thimerosal harms. "No evidence" just means they haven't been able to do whole life human studies to actually discern whether the Thimerosal in vaccines is harmful or not. The same website admitted that experts said this chemical should be reduced in vaccines, however the flu vaccine tends to contain higher amounts of the preservative. A study by researcher, Hugh Fudenberg, MD suggested that receiving the flu vaccine yearly could raise the risk for coming down with Alzheimers and other disorders. The flu vaccine dumps millions of supposedly weakened viruses into your blood stream at once. Since your immune system is caught unprepared, there is another chemical in the flu vaccine (and other vaccines) called an ajuvant which is meant to beef up the immune system to fight the viruses. But ajuvants have come under fire lately because some wonder if they might be a factor in the meteoric rise in the incidence of autoimmune disorder. Indeed immune disorders like LUPUS which in the 1970's no one ever heard of because they were so rare, are quite common now, leading some to ask this question: if vaccines do effectively prevent infectious disease, have we traded a limited infectious disease like the flu for a lifetime of pain with auto-immune disorders? At best, the jury is still out on the flu vaccine and one survey suggested that some 75% of medical providers did not get the flu vaccine, themselves. Some internet websites like the National Vaccine Information Center, help people to make the decision which works best for them as far as what vaccines to skip and which ones to take.